If you are interested in fostering with us, then you can start your application today online or over the phone . There are some minimum requirements you will need to meet to foster with us, so please read through this page before you make an enquiry. In order to become a foster carer, you have to go through an assessment process. This process should take around six months and we have a dedicated team of social workers to help you every step of the way. If you are already fostering through an agency or another local authority and are interested in transfering to us, please visit our transfer page. There is no such thing as a typical foster carer. Like the children they look after, foster carers come from all sorts of different backgrounds, cultures, religions and age groups. We have single carers, couples, some with their own children, some without. What they have in common is a genuine interest in helping support children through a difficult time in their lives. You will need to have enough time in your life and space in your home to care for a child or young person. As a carer you will need sensitivity and flexibility, as well as an ability to stick with children that may be troubled or display difficult behaviour at times. There is no legal minimum age to become a foster carer although like most fostering teams, Brighton & Hove's policy is that you need to be over the age of 21. There is no maximum age to foster with us. There are no past or present mental or physical health conditions that would automatically exclude you from fostering with us, but of course some children may require you to be more physically fit than others. For example with a very young child you may need more energy to lift them so if you had a back problem this may not be the ideal age group for you to foster. There is also no medical condition in a family member that would automatically exclude you from fostering with us. We will carry out a medical check as part of the assessment and discuss your medical history with you. provide a good standard of care for other people's children. This will involve promoting their health, education and leisure interests. listen and communicate with children in a way that is appropriate for their age and understanding. help the child keep in contact with their friends and family as appropriate. set appropriate boundaries and manage children's behaviour without the use of physical punishment or other unreasonable behaviour. ensure that the child is cared for in an environment where they are safe from harm and abuse. work as part of a team with the child's social worker, teacher and other professionals. provide a stable home that can give the child warmth and stability they need. have a positive attitude to diversity and equality issues. There are no formal qualifications required to foster with us and in return we offer a full package of training and support to all our carers. Stage 1 assessment – Stage 1 of the assessment involves various checks and references. This includes: a Child Protection Record check, a medical check, a Disclosure and Barring check (formerly Criminal Records Bureau) and employee, personal, educational and ex-partner references. Stage 2 assessment – Stage 2 of the assessment involves an in depth look at whether you have the skills and abilities to foster a child. This is carried out by a qualified social worker. During Stage 2 you will attend a three to four day preparation group called ‘Skills To Foster’. We’ll probably be having a lot of meetings with you during this stage of the process, mainly at your home and will involve other members of your family (as appropriate). Fostering report – At the end of the assessment, your social worker will complete a report saying why they think you should or should not be approved as a foster carer. This will include the age range and the number of children you will be able to foster. , If for any reason we decide not to continue your application to be a foster carer, we will discuss this with you in person. If for any reason we decide not to approve you, you will receive a formal letter from us at this point. Assuming the social worker is recommending your approval as a foster carer, your application proceeds to the fostering panel. More information for applicants and foster carers attending panel for the first time can be found here. Agency decision maker – The fostering panel’s recommendation is passed on to the agency decision maker (a senior member of the Children’s Services department), who will make the final decision to approve you as a foster carer. This is done with five days of the fostering panel. Congratulations, you’re now an approved foster carer! We will now start matching you with children in need of a foster placement, but will always discuss any matches with you and the child’s social worker to try and get the best possible match. In England, the law states that you can only have three children in a foster placement at one time, (although this does not apply to sibling groups). If a foster carer has more than three children placed their local authority must agree to an exemption to the ‘usual fostering limit’ of three children. 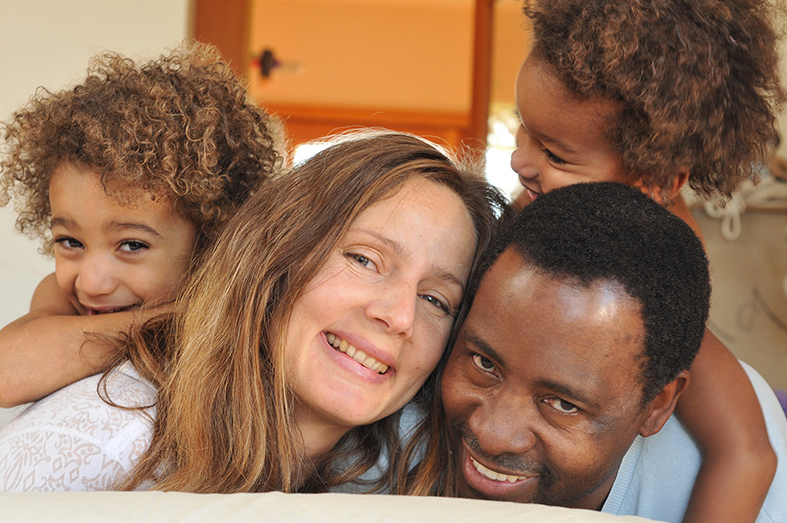 Fostering involves the whole family and will affect your children (if you have any). The children of foster carers play a key role in the fostering household and should be included at all stages of the fostering process. It can be tough for children who find themselves sharing their parents with children who have led very different lives. However, many children also say that they have enjoyed sharing their home with foster children and learnt a lot from the experience. What do you mean by significant experience of childcare? We mean that you need to understand how it feels to be fully responsible for caring for a child overnight and on a regular basis. If you are or have been a parent then you will have enough experience. If you don’t have children of your own, you will need to have varied experience of caring for other people’s children within your home, including overnight stays. Give our team a call if you want to talk through your individual circumstances. Having pets does not prevent you from fostering - in fact they can be an asset to a foster family. Your pets will be assessed as part of the assessment process, taking into their temperament and behaviour. As a pet owner, you also need to think about how you would feel and react if a child in your care was injured by your pet, or if one of your pets was injured by a child. I work full-time. Can I still foster? Foster carers are expected to be available to care for children. They also need to attend meetings, training, support groups, and to promote and support contact between a child and their family. This is generally not compatible with full-time employment and we would not usually consider it suitable for a fostered child to be in full-time day care while their foster carer works. However, if you are in a couple, it is possible for your partner to work and depending on the age(s) of the child(ren) you are caring for, it could be possible for you to work part-time. Do I have to be a British citizen or live in the UK in order to become a foster carer? There is no requirement to be a British citizen to be a foster carer in the UK. Children from a wide range of backgrounds need foster families leading to a need for foster families from all walks of life. You must have ‘leave to remain’ in the UK if you are a thinking of becoming a foster carer - please visit the UK government website for more details. In general, you cannot apply to become a foster carer with a UK-based fostering service if you are living outside the UK. There are exceptions to this including ‘Family & Friends foster carers’ looking after a specific child and British Armed Forces families who are posted overseas. You may wish to apply to become a foster carer in the country in which you are resident - please visit the International Foster Care Organisation (IFCO) website for more information. Do you need to speak English as your first language to be a foster carer? A large number of children in foster care do not have English as a first language and it can be helpful for them to be placed in a household where their first language is spoken. You will need an adequate level of spoken and written English to be able to communicate with professionals, support children’s education and to keep records. If you have any particular communication needs, the fostering team are happy to discuss this with you.